Scrap the paper! 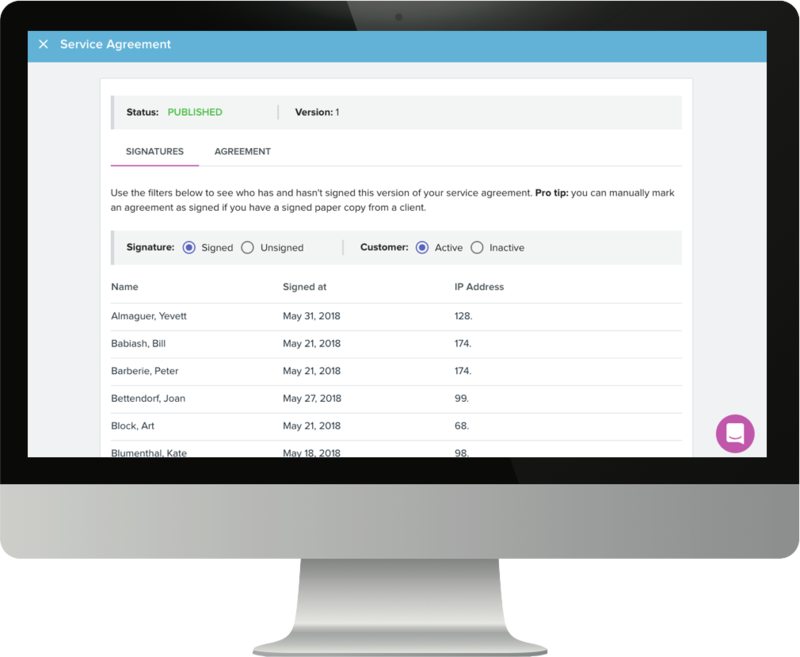 Learn how you can use Scout to enable your customers to e-sign your service agreement. To start, an administrator manually enters or copies and pastes their service agreement into the Scout editor. To save a draft or publish your service agreement, click Save in the top right corner. You will be prompted to save as a draft or publish. If you're not finished editing, click "save draft". If you're finished editing and ready to publish your service agreement, click "publish." 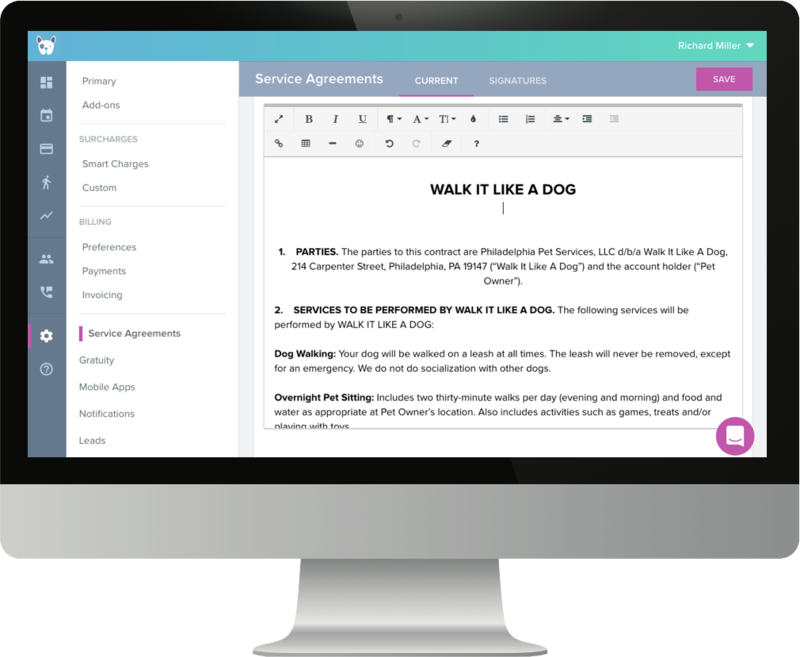 Once you publish your service agreement, it will be sent to the pet owners app for sign-off by the pet owner. Upon opening the Scout for Pet Owners App, the customer is notified that a new service agreement has been posted. The pet owner may read the agreement on the app or request a copy be automatically emailed to them. The pet owner must accept the agreement to proceed with using the app. Scout records the date and IP address of the signor. To see who has signed each version, click the version you wish to view. If a manual or paper signature is obtained, the admin may override the electronic signature manually. Click the radio button labeled "Unsigned"
To manually sign, click the check mark icon next to the pet owners name.